SNP Westminster leader Ian Blackford has warned the Prime Minister that the Scottish Tories could be wiped out again in Scotland amid claims of their disrespect for the devolution settlement. The MP was speaking after Prime Minister’s Questions (PMQs) where Theresa May gave no indication of giving ground on the EU Withdrawal Bill, despite Holyrood refusing to give consent to the Brexit legislation on Tuesday. 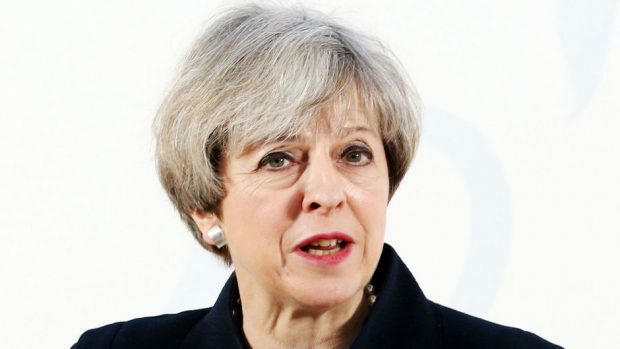 When asked if she would amend the Bill to allow MSPs to support it, Mrs May refused, paving the way for Westminster to overrule Holyrood for the first time in the history of devolution. “What the Bill does is set out a mechanism that respects devolution and lets us maintain the integrity of our own common market as we work out the long-term solutions,” she said. “That is a reasonable and sensible way forward. “I think it is right that we go ahead with measures that not only respect devolution, but ensure we maintain the integrity of our common market. Mr Blackford highlighted the fact that all other parties had voted to refuse consent at the Scottish Parliament due to their concerns over the devolution settlement and said the Conservative position was reminiscent of the lead-up to the party’s 1997 annihilation in Scotland. “We have been here before at a time when the people of Scotland did reflect on the government under Thatcher, who was perceived not to be acting in the interests of the Scottish people and the Conservatives paid a price,” he said. “I do think Theresa May is out of step with her Scottish MPs – the Tories were wiped out in 1997 because of the perception people had of their behaviour. However, Aberdeen South Conservative MP Ross Thomson stressed that the SNP party was more focused on their mission for independence. Mr Thomson asked Mrs May if she shared his concern that Scottish Labour and Scottish Liberal Democrats had become the “midwives for the Scottish National party’s crusade” to “tear apart the Union”. He said: “Scottish Labour and the Scottish Liberal Democrats are now actively complicit in working with the SNP to help make a second independence referendum happen – betraying those who voted No in 2014. “The SNP exists to break up Britain and they’ll do it by any means.